There are ways for travelers to help without making cash donations as well. As the devastation of Hurricane Harvey continues to wreak havoc in Texas, many are wondering how to help the victims. Airlines are now giving people even more reason to be charitable, by offering bonus miles if you make donations. To help relief efforts, two major airlines with hubs in Texas are offering bonus miles to those making charitable donations. 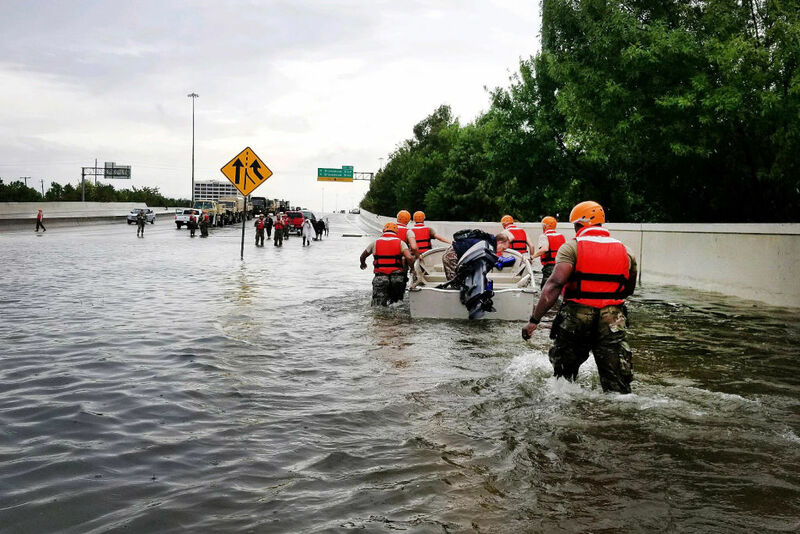 While Hurricane Harvey’s impact is being felt across a broad swath of the economy, and the costs will continue to pile up for weeks, the effects on the travel industry have been immediate and obvious. According to FlightAware, there were roughly 1,800 flight cancellations in the U.S. on Sunday, plus another 1,700 yesterday and 1,500 today. Houston’s two airports have been shut down for days, with 1,400 flights into or out of the city cancelled on Monday alone. Cruises have been affected too, with at least four cruise voyages cancelled that had itineraries that would have normally docked at Galveston this week. Airbnb is offering help too, pairing hurricane evacuees with homeowners willing to take them in. The service is listing spaces that welcome evacuees at no charge, and all normal service fees are being waived as well.